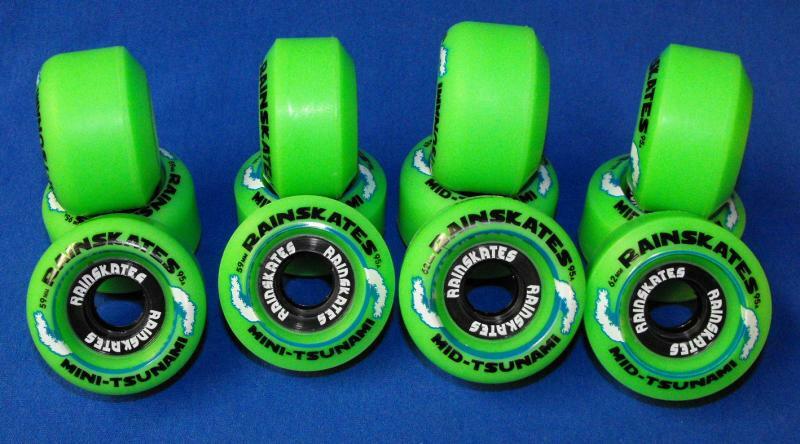 Avalable in the 59mm Mini, and 62mm Mid sizes, in both Single, and Double Con shapes. - Mini-T S/C: 59mm x 38mm, 22mm Contact Patch. 12 Oz/set. - Mini-T D/C: 59mm x 38mm, 20mm CP. 10.5 Oz/set. - Mid-T S/C: 62mm x 40mm, 23mm CP. 13.5 Oz/set. - Mid-T D/C: 62mm x 38mm, 23mm CP. 13 Oz/set.